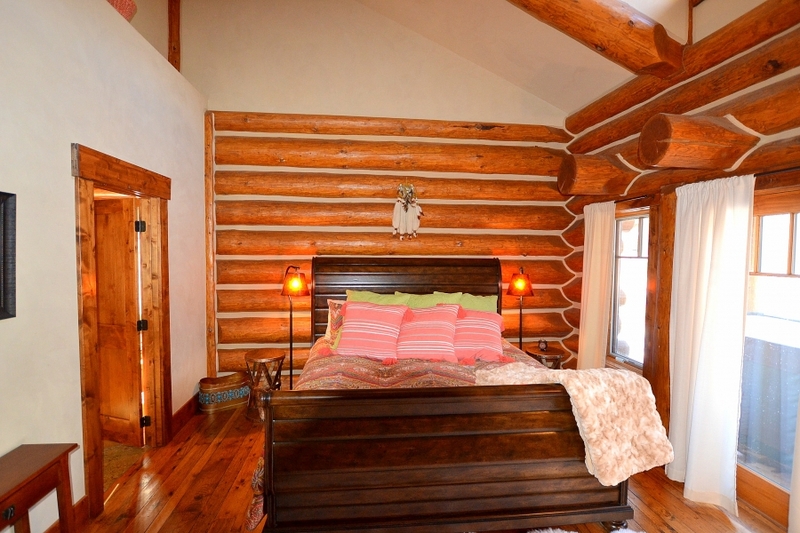 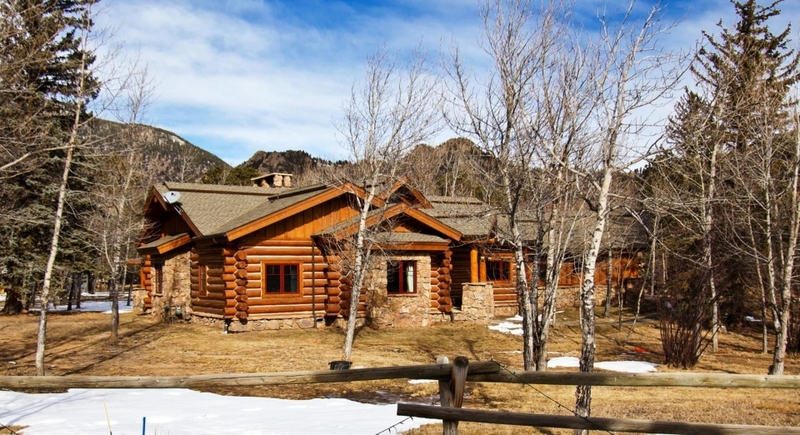 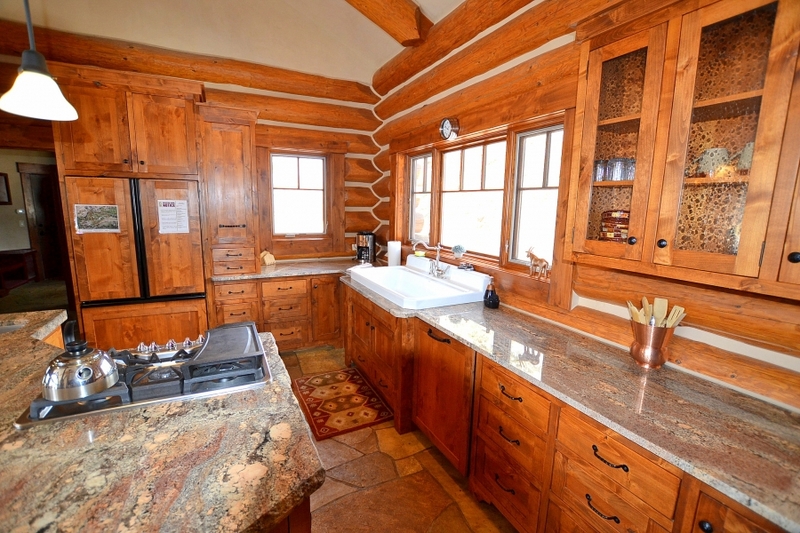 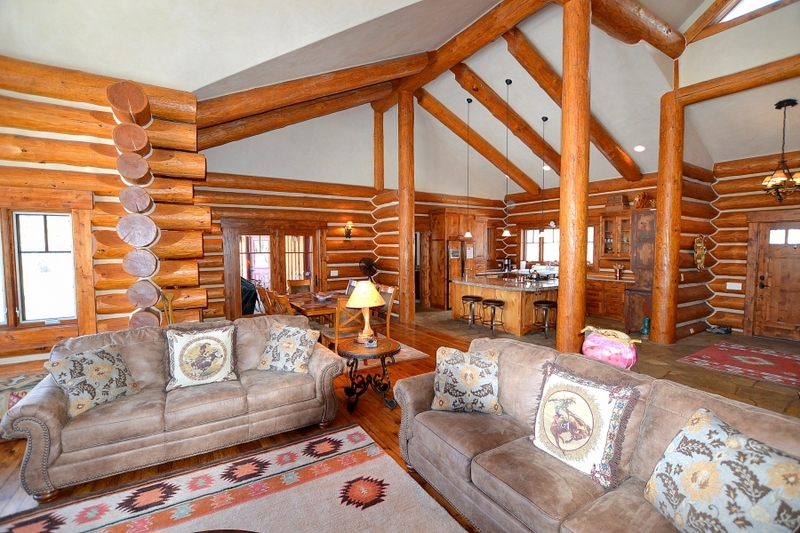 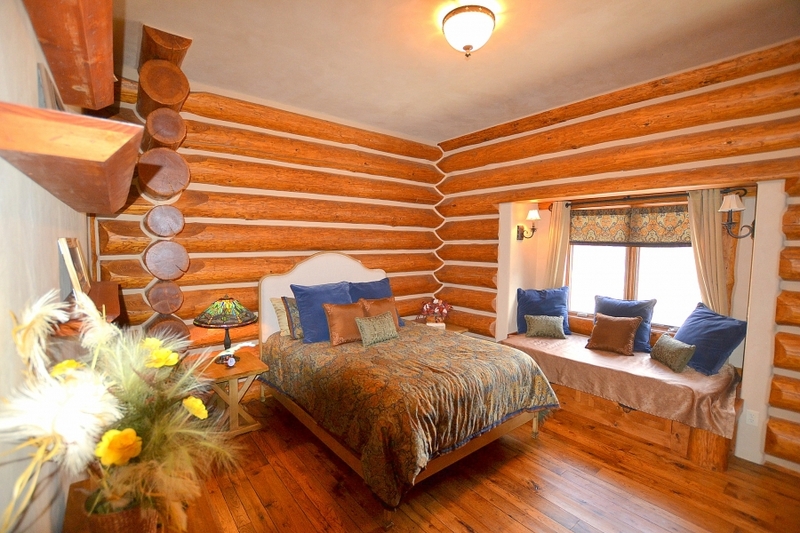 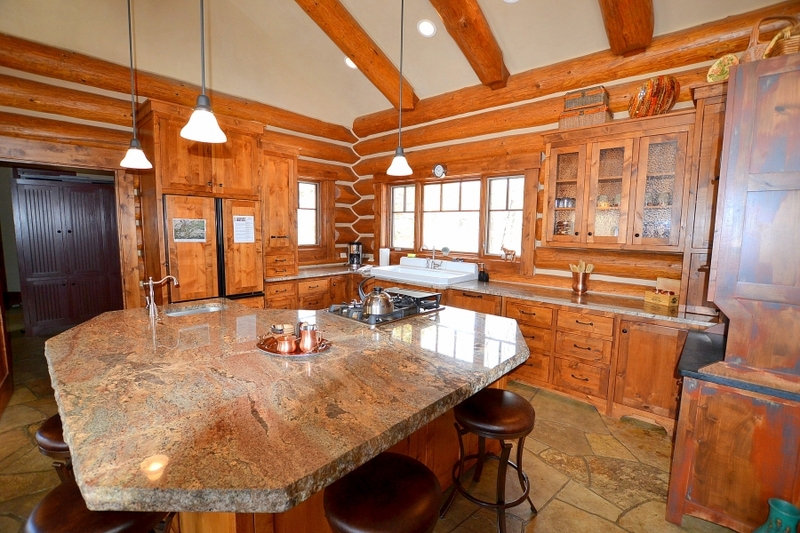 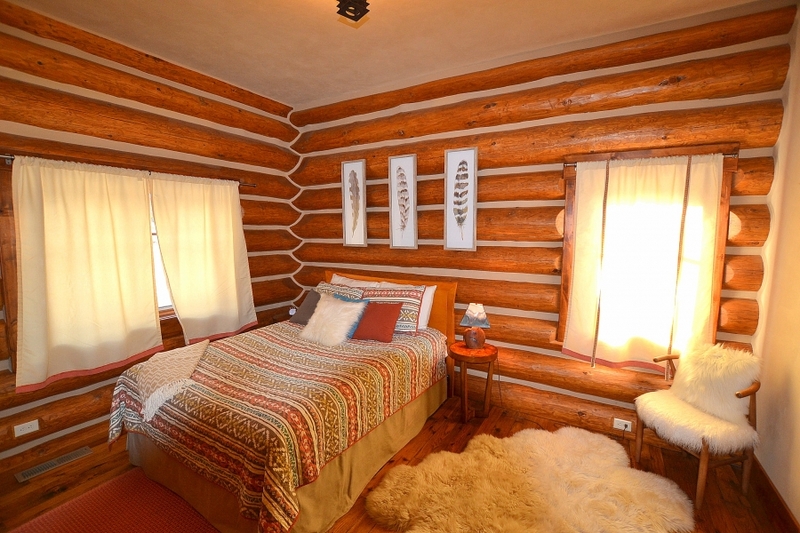 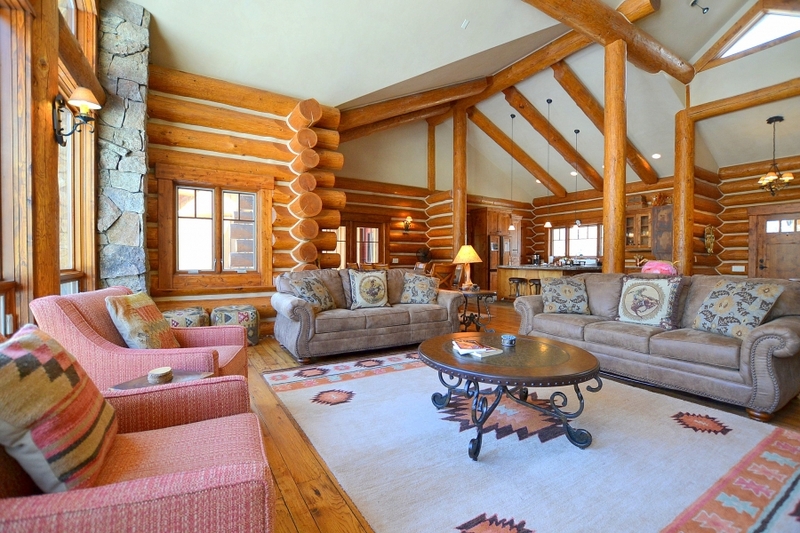 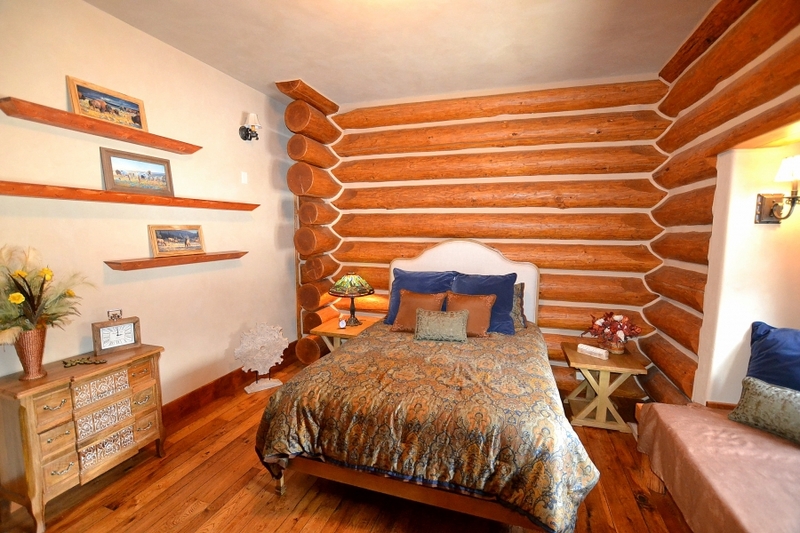 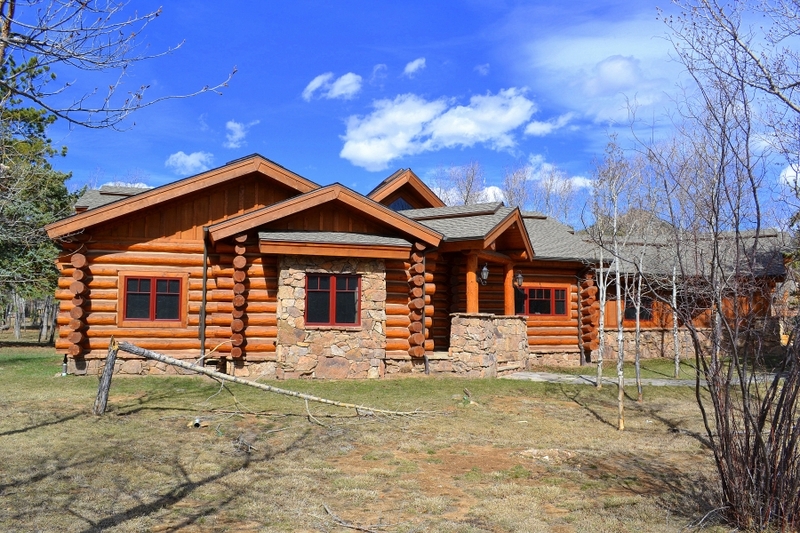 Come enjoy the Rocky Mountains in this full log home located on 3 acres with 500 feet of Big Thompson River frontage. 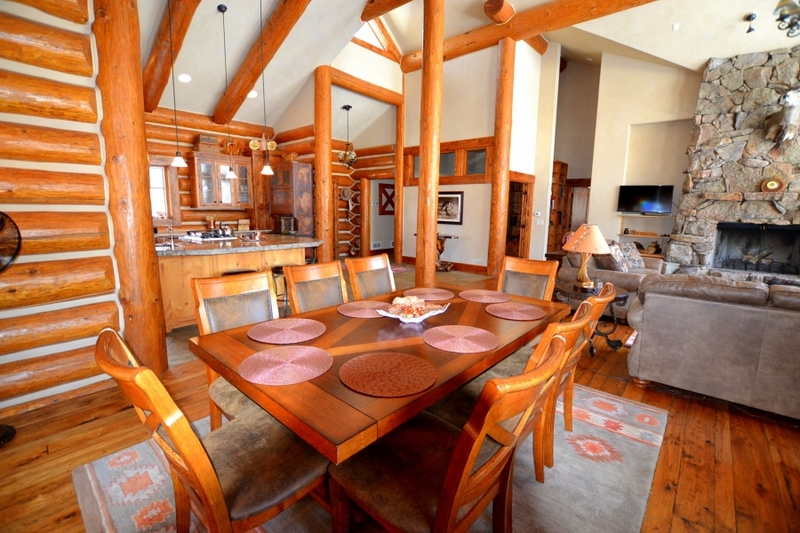 Upon entering you will be greeted by the soaring ceilings of the large great room. 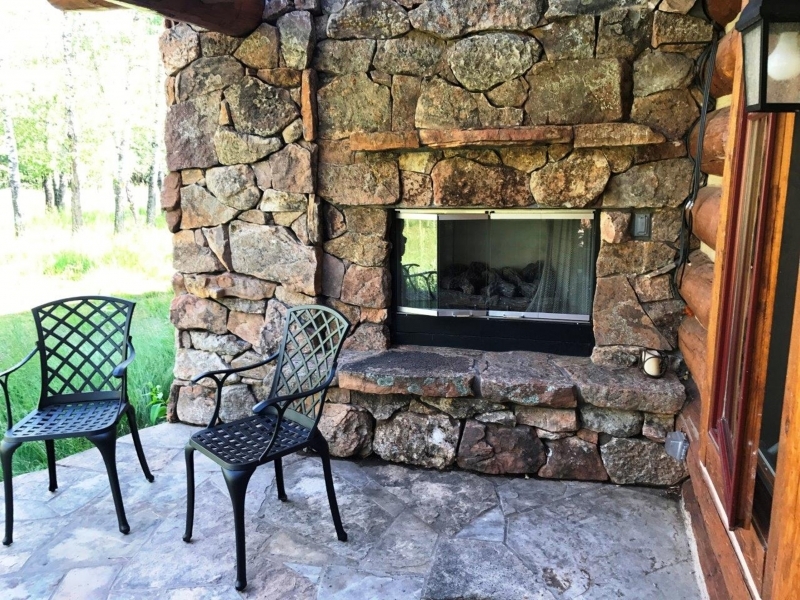 The living area features comfortable modern mountain decor, warm hickory wood flooring, floor to ceiling moss rock wood-burning fireplace, wall of windows to the privacy that surrounds the home, and LCD TV. 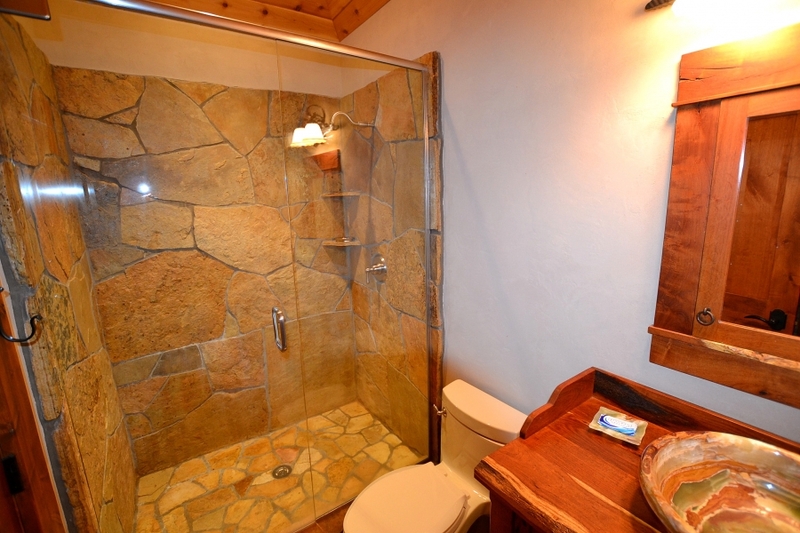 To the left of the entrance is a hallway leading to 2 bedrooms and the second bathroom, which features stone lined shower and Onyx sink. 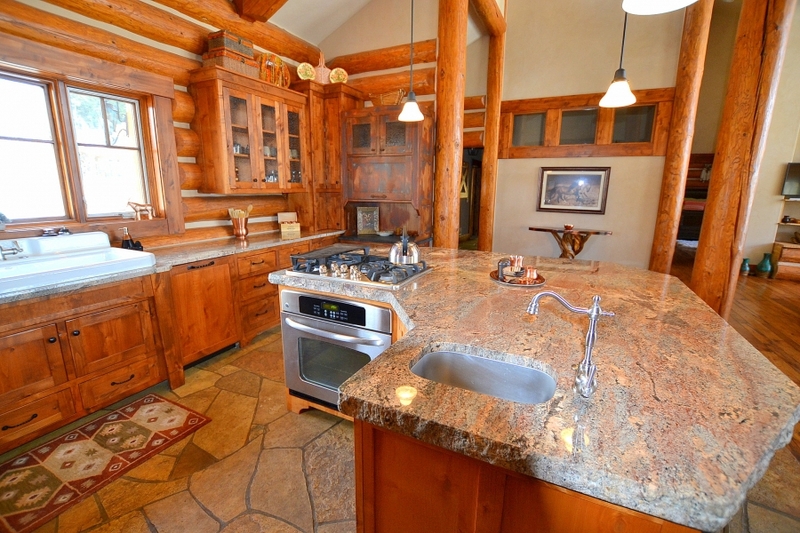 Continuing to the right of the entrance is the chef’s kitchen featuring extra thick granite counter-tops, 6 burner gas range, cabinet style french door refrigerator, huge island that can sit 5, stone floors, dishwasher, & country style sink. 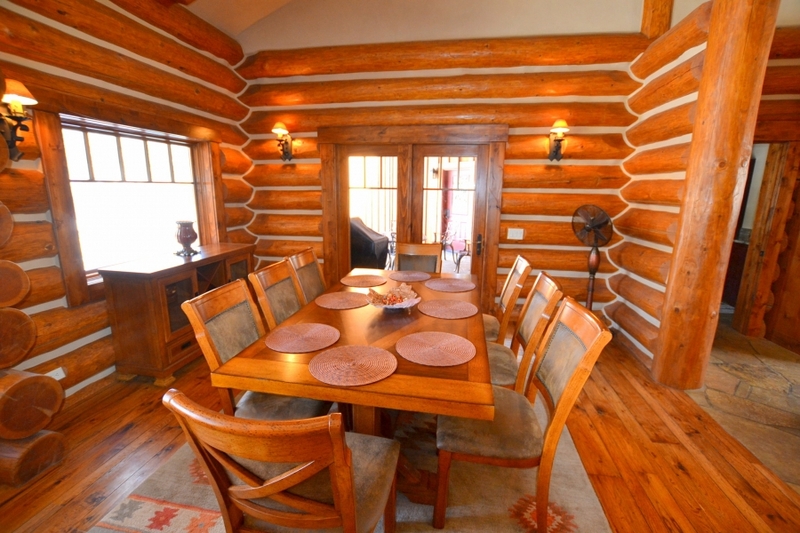 Just off of the kitchen is the 8 person dinning area with views of forested grounds that surround the house. 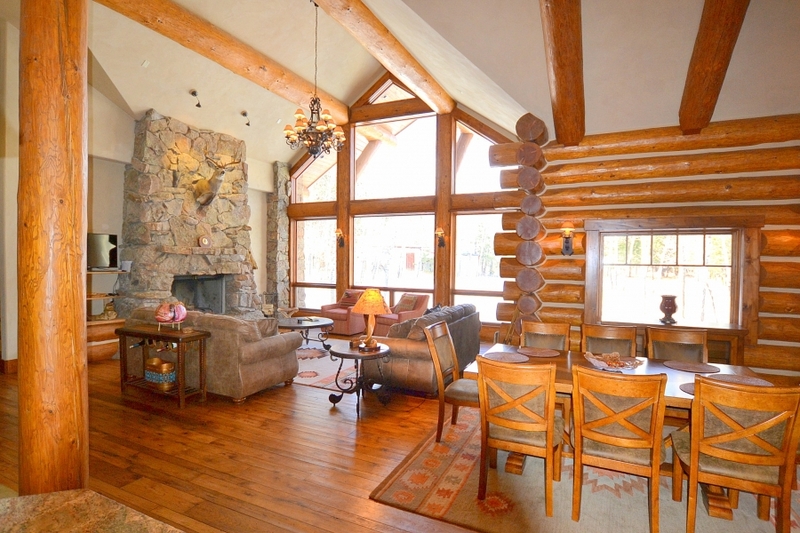 Through the living area and off to the left is the luxurious master suite. 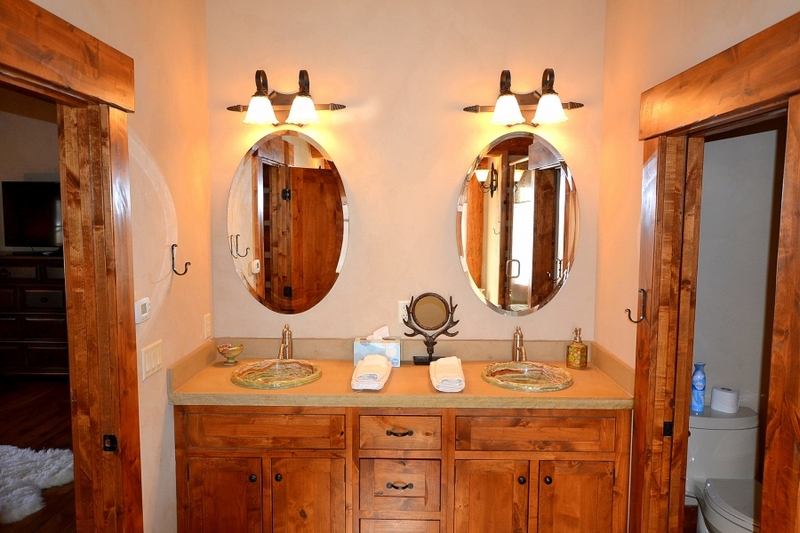 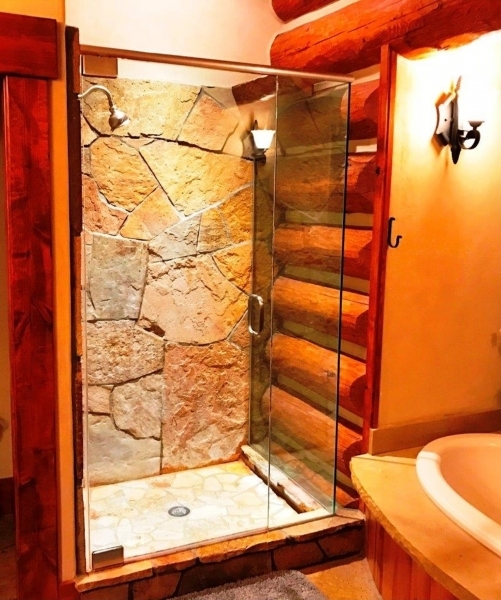 The master bath has a beautiful stone shower, separate large jetted tub, and his and hers Onyx sinks. 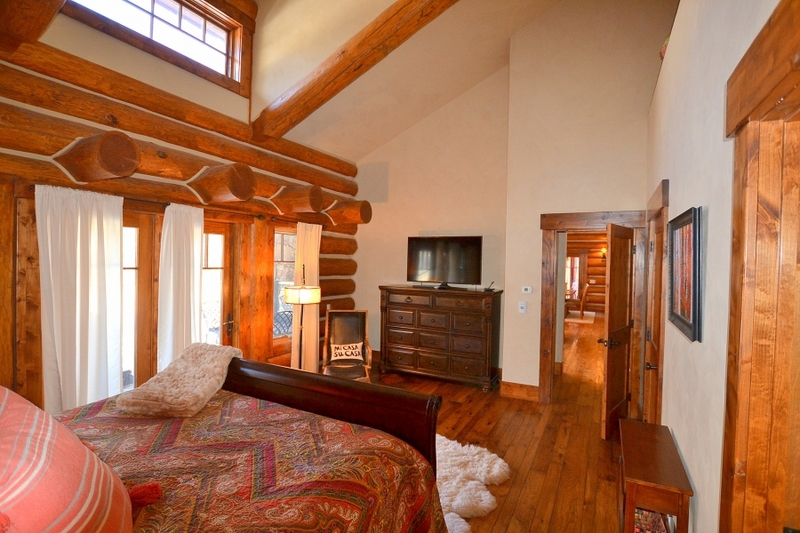 The master bedroom also has a second LCD TV. 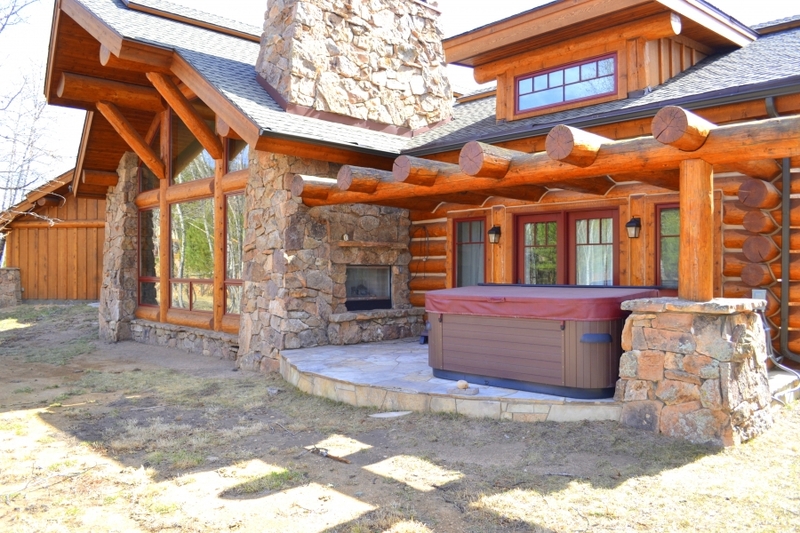 French door lead to the private Hot Tub, patio, and outdoor fireplace. 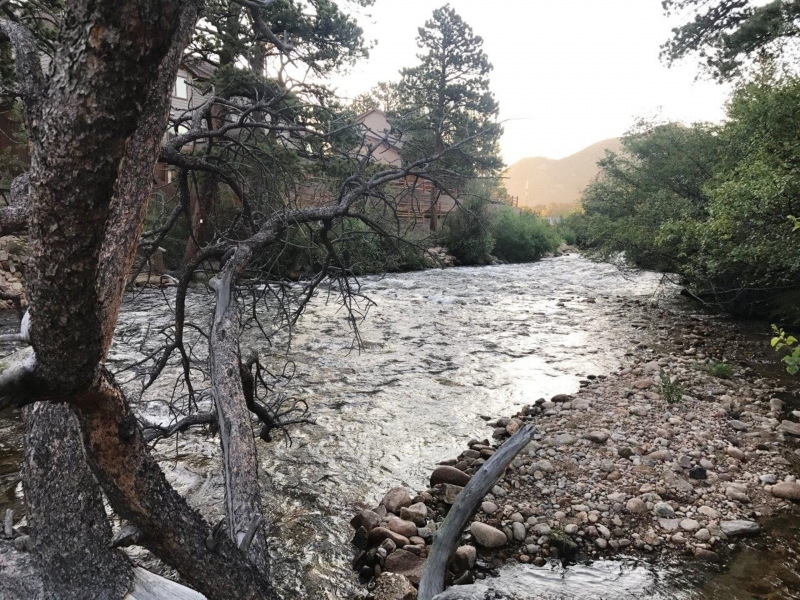 The grounds are spectacular featuring: multiple aspen groves, pine trees, multiple seating areas, world class fly fishing, and the sounds of the Big Thompson River. 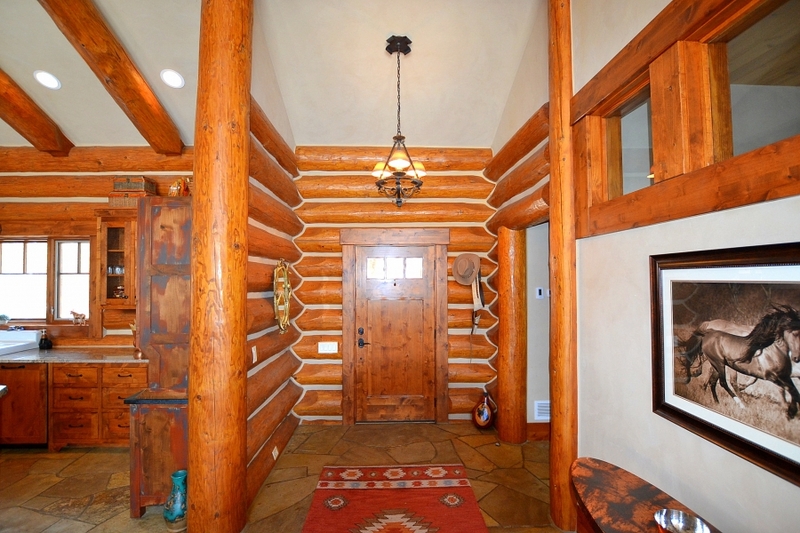 The attached two garage garage leads into the butler’s pantry with plenty of room for fishing outdoor gear. 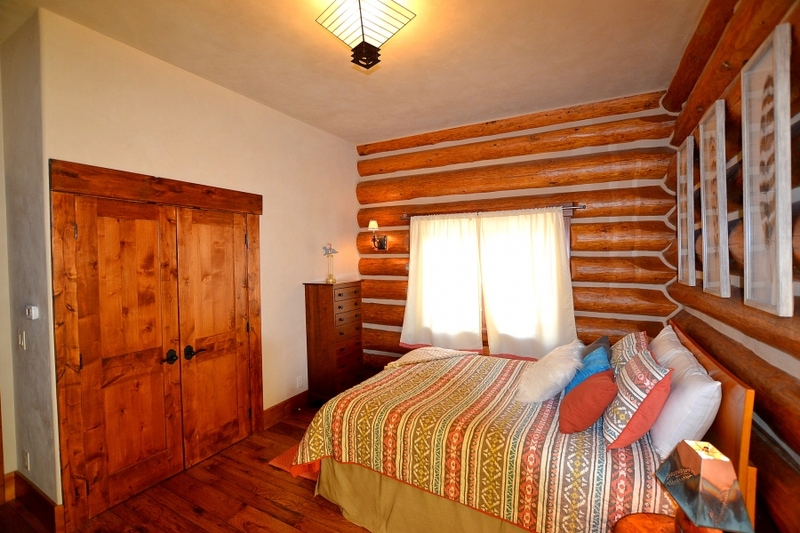 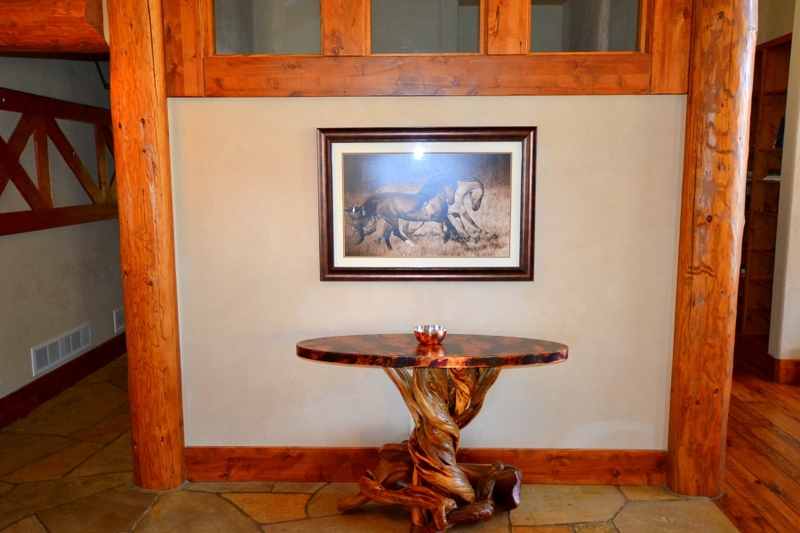 Guests will not be disappointed with the high end features and furnishings throughout. 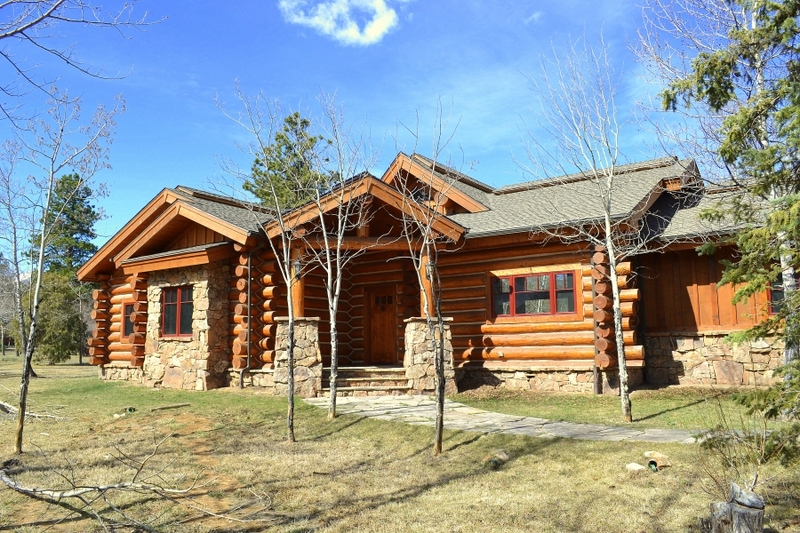 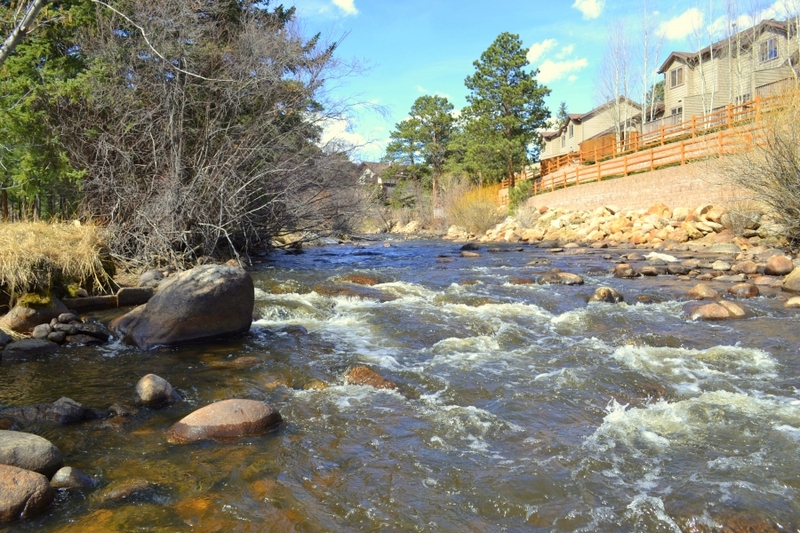 The home is located on a quiet dead end street, yet remains a short drive to both downtown and Rocky Mountain National Park. 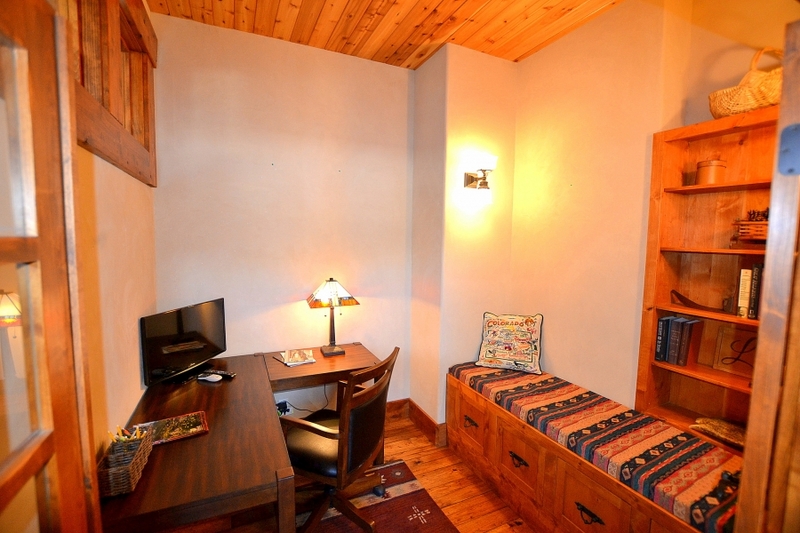 There is an dedicated office, in case you need to get some work done while relaxing in the best of Estes Park lodging.